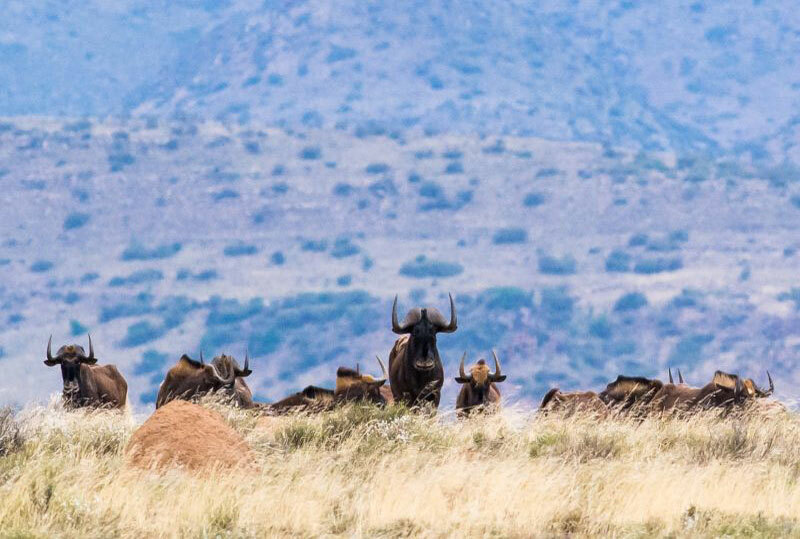 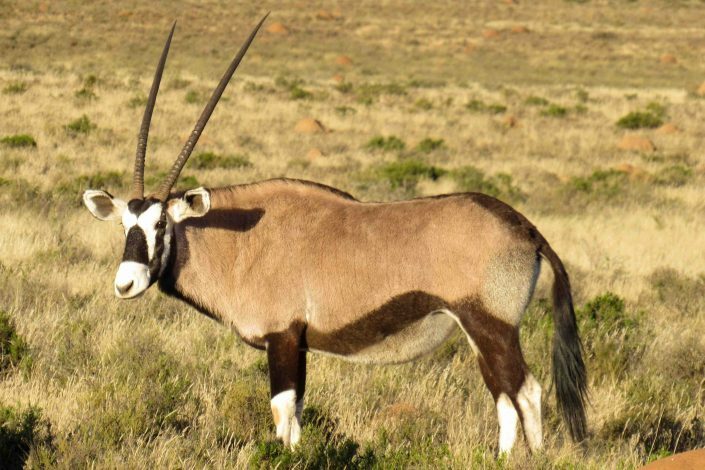 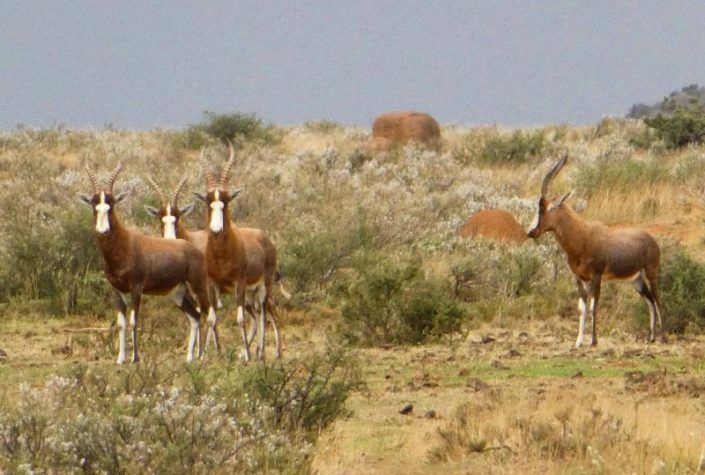 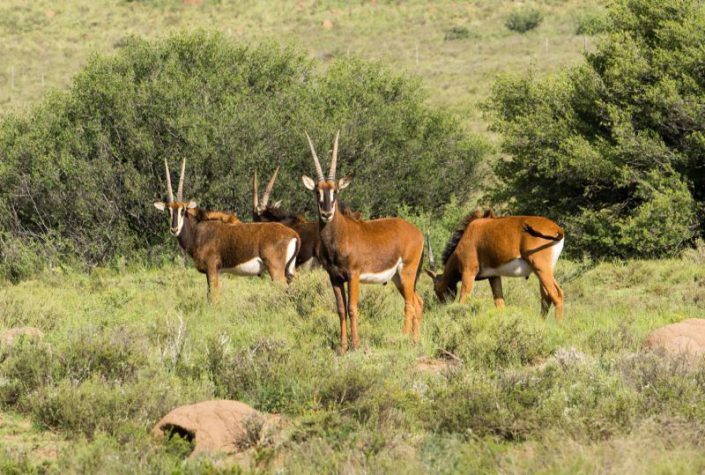 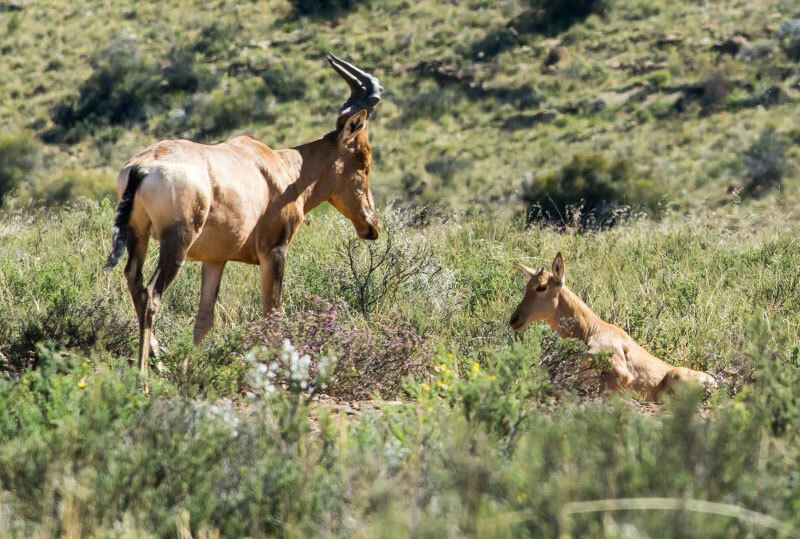 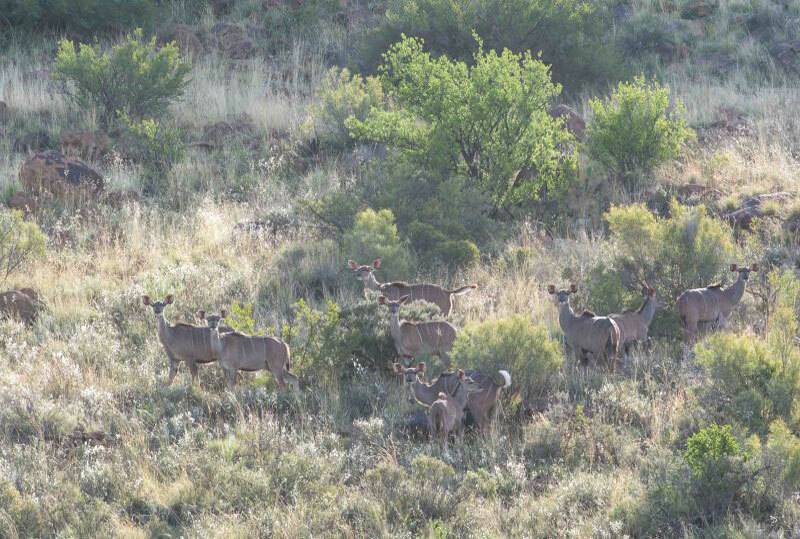 As recently as 150 years ago the Karoo teemed with vast herds of migratory game. 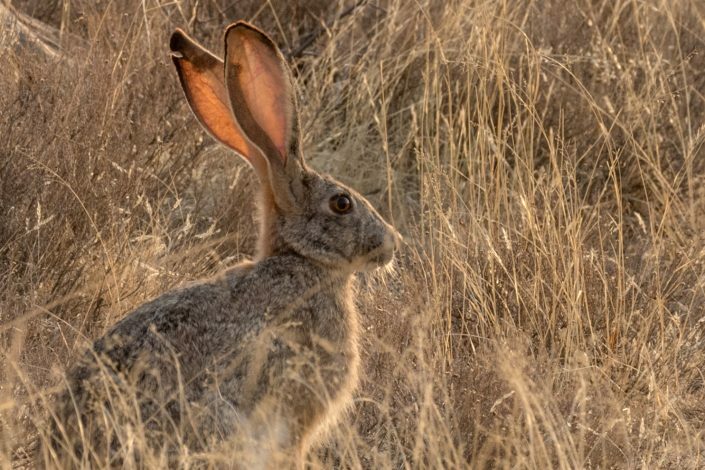 Our vision is to create a healthy, sustainable ecosystem that will support large and small mammals once again, and promoting biodiversity is the most effective way to a healthy eco-system. 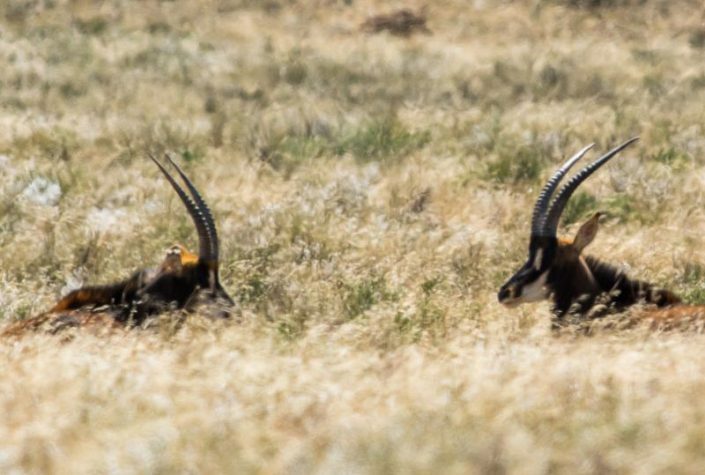 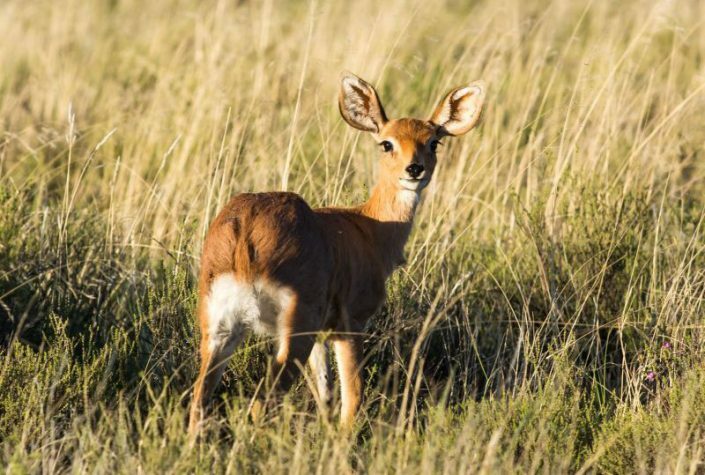 So far, the plains game we have reintroduced include springbuck, blesbuck, black wildebeest, red hartebeest, zebra and gemsbuck. 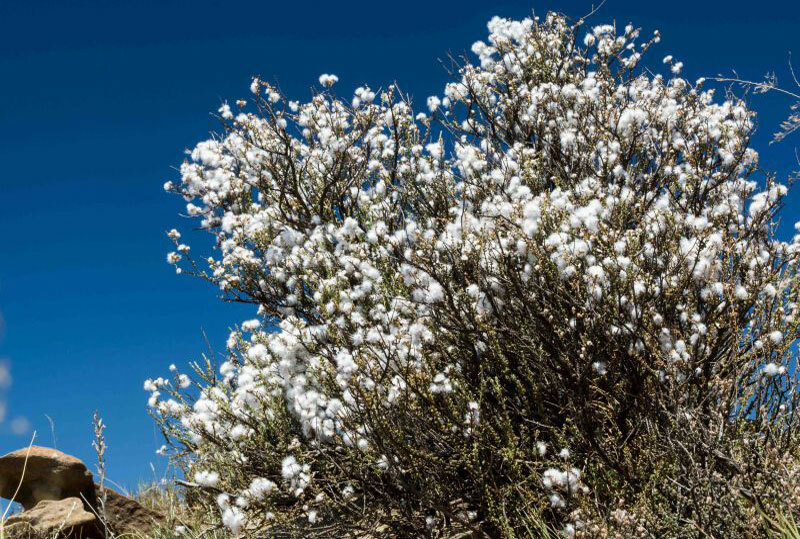 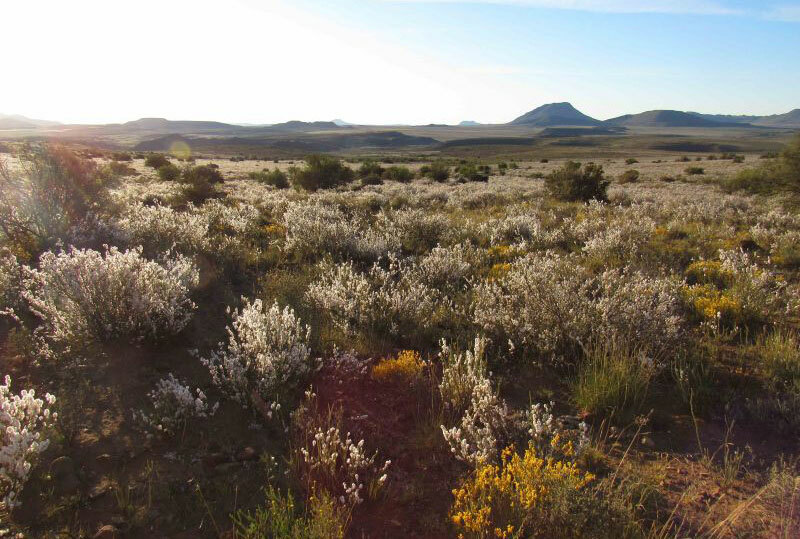 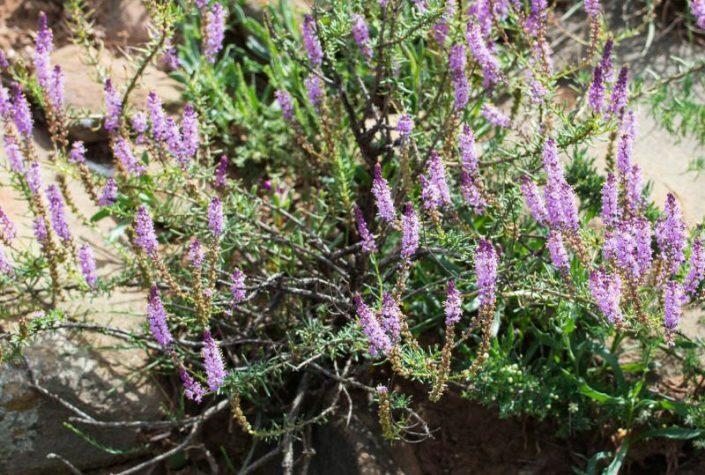 Plants in the Karoo are adapted to a drought-prone environment. They can withstand variations in temperature that range from snow in winter to 50˚c in summer. 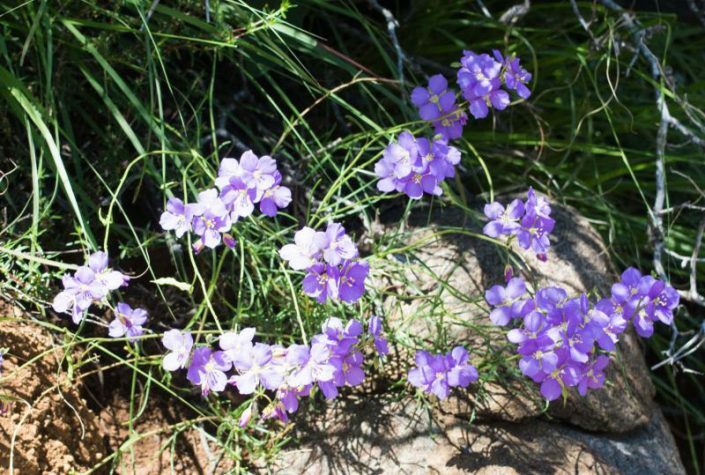 Spectacular flowers, full of colour and variety, bloom after the summer rainfall, bringing the landscape to life with pops of purples, pinks, yellows and green. As rain is so unpredictable in the Karoo it is impossible to predict when these blooms will occur but we are constantly discovering more plant types on the land and have a photographic herbarium which currently has over 100 species. 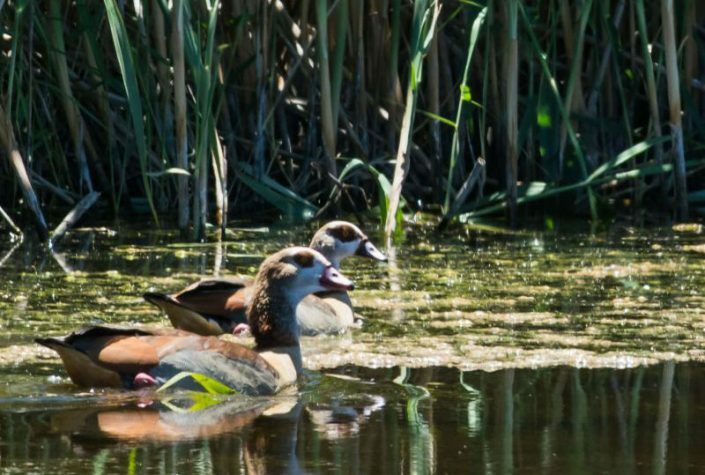 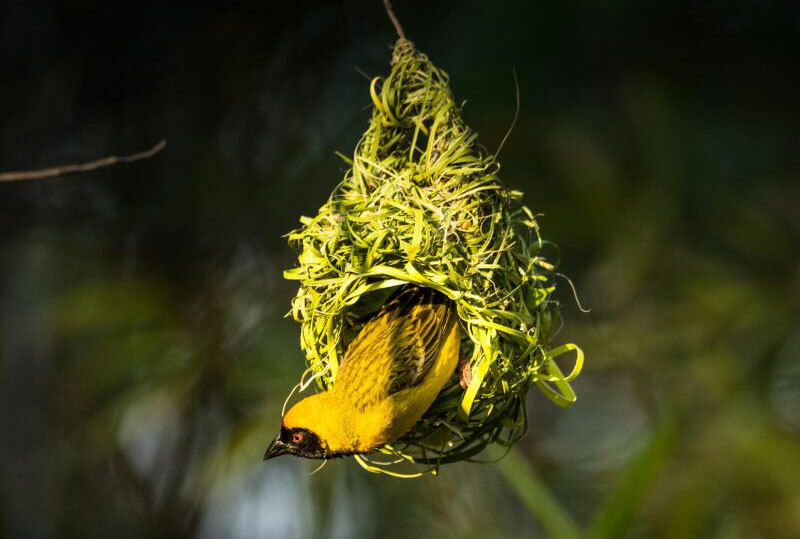 Diverse bird life is a sign of a healthy environment. 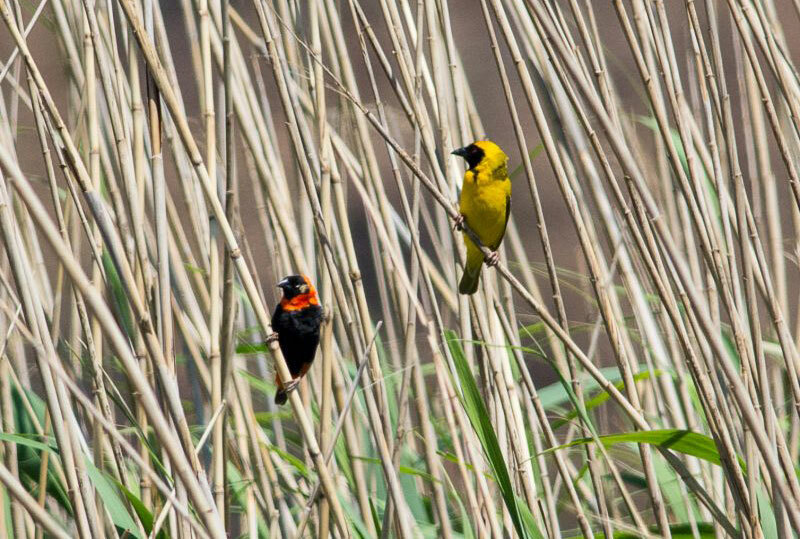 Birds are vital for plant pollination, balancing invertebrate populations and disposing of carrion. 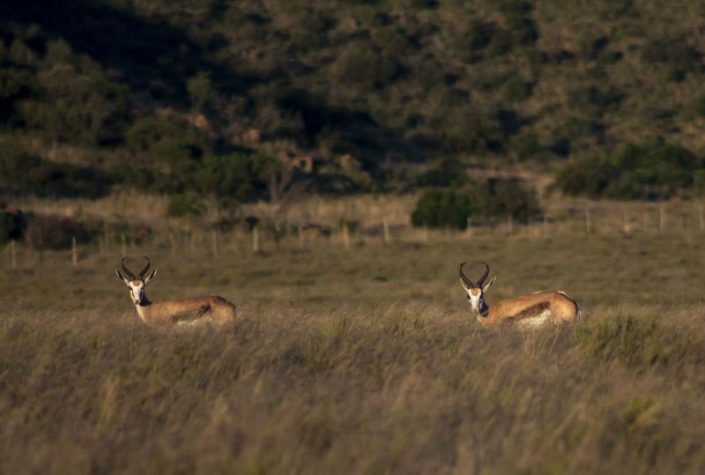 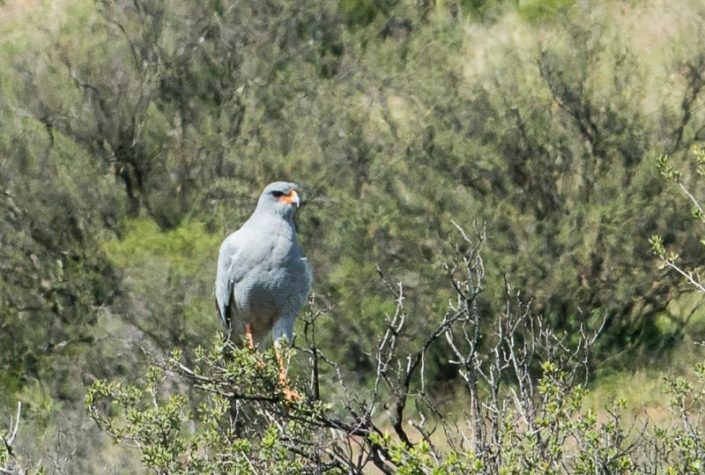 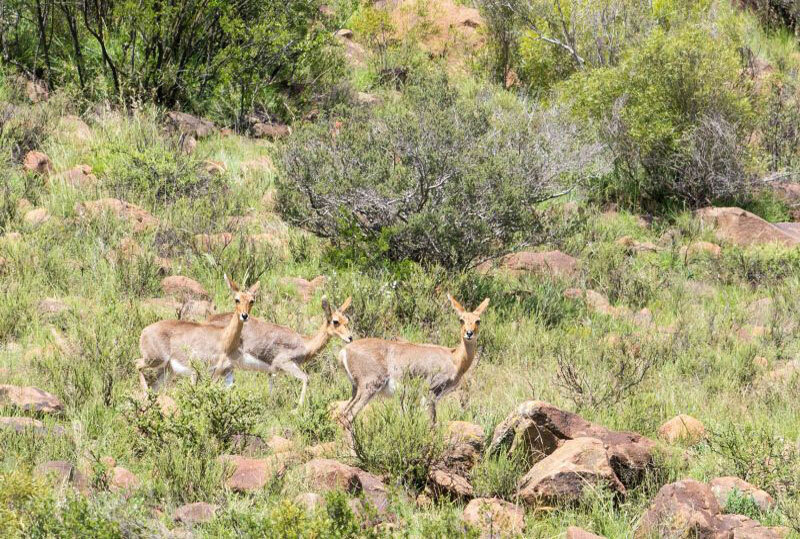 At Karoo Ridge Conservancy we are lucky enough to have diverse habitats including riverine thickets, open flats, mountain slopes, reedbeds, water and cliffs. 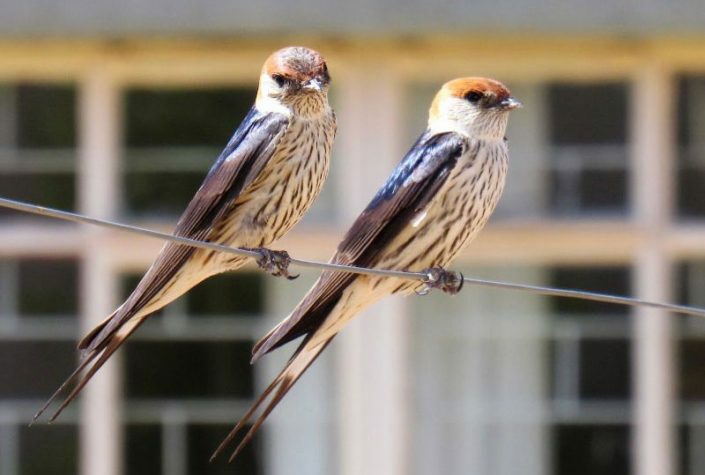 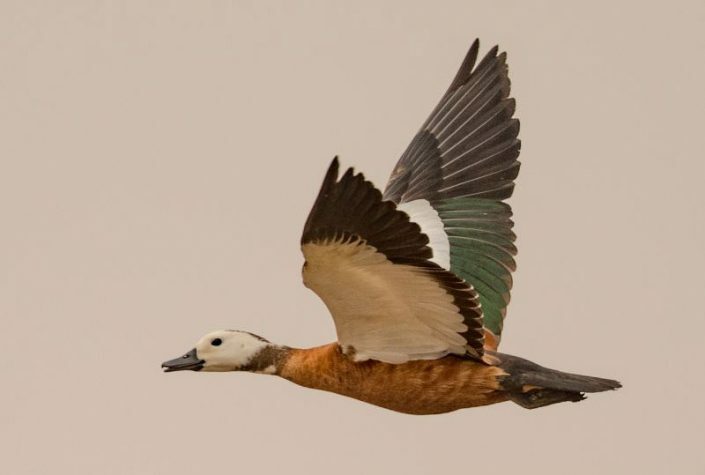 While increasing numbers of bird are now making Karoo Ridge Conservancy their home, we are fortunate enough to see a number of visitors such as cuckoos, bee-eaters and swallows during summertime and our bird list currently numbers over 120 species. 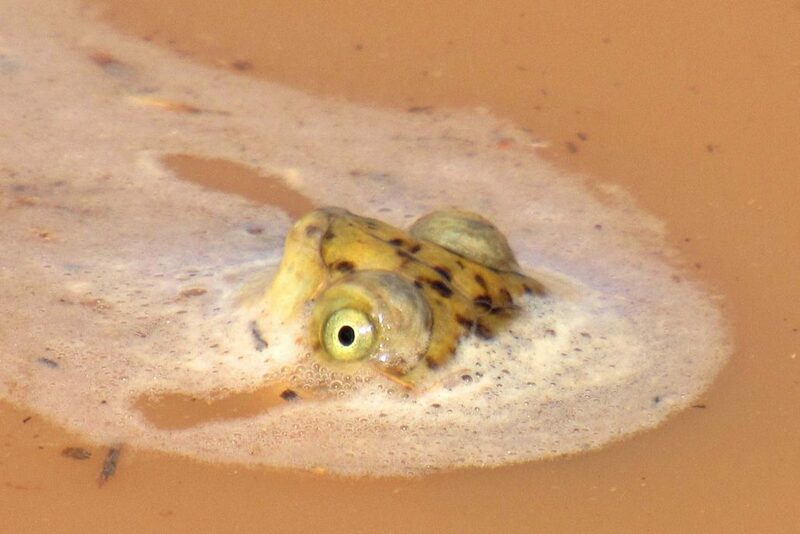 The arid Karoo is a hostile environment for amphibians. 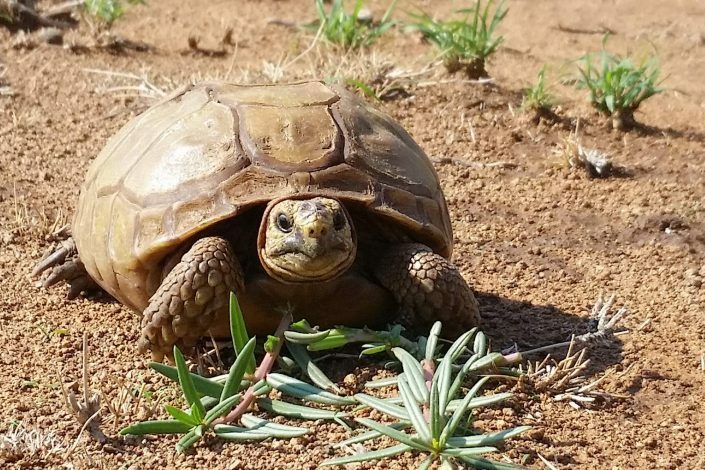 They run the risk of desiccation at all stages of their lifecycle but despite this risk there are species that still exist in these dry conditions. The number and breeding patterns of amphibians in this climate rely solely on the rainfall in any particular rain season. 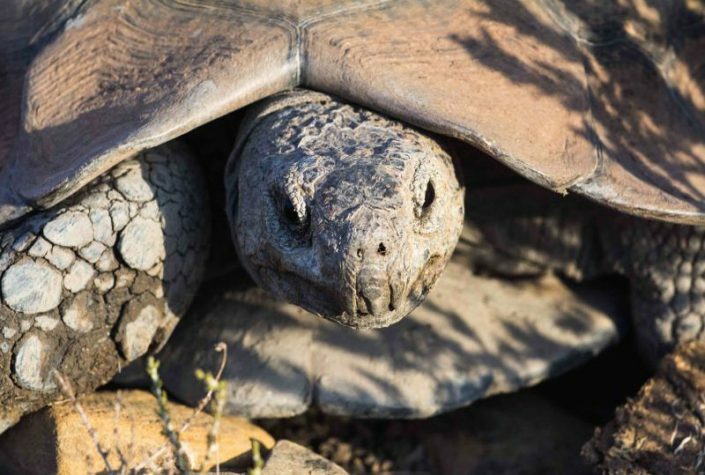 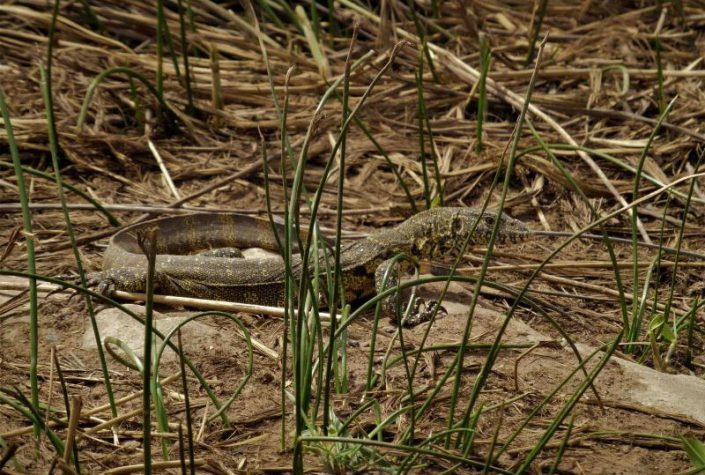 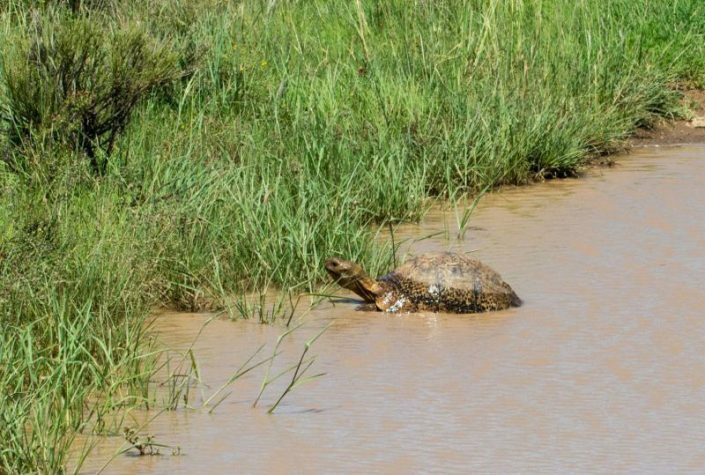 Nevertheless, we have a wide variety of reptiles in the Karoo from snakes to lizards, agamas and tortoises. 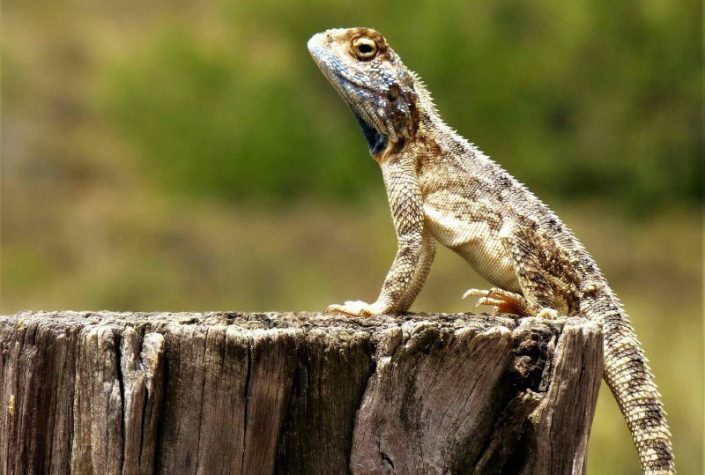 Very seldom seen in the winter months they make an appearance in our summer months basking on fence posts and rock stacks. 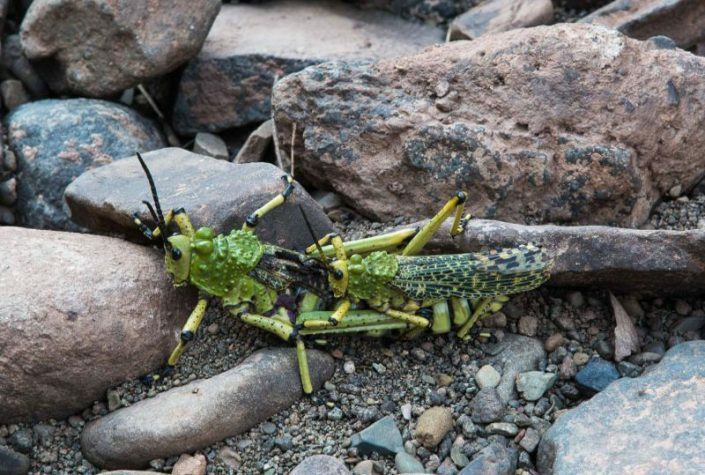 Insects are far more important to our natural ecosystems than most people ever realise. 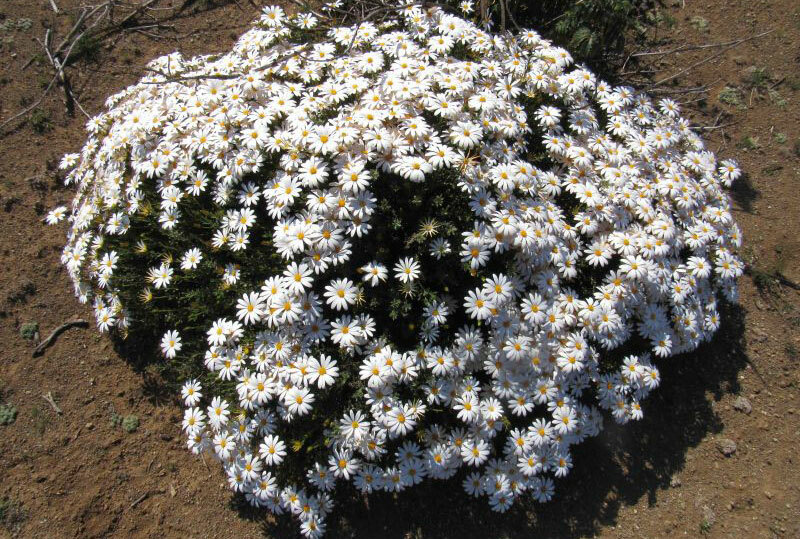 They pollinate the plants and play a crucial role in ‘recycling’ plant and animal waste, which in turn improves the fertility of the soil. 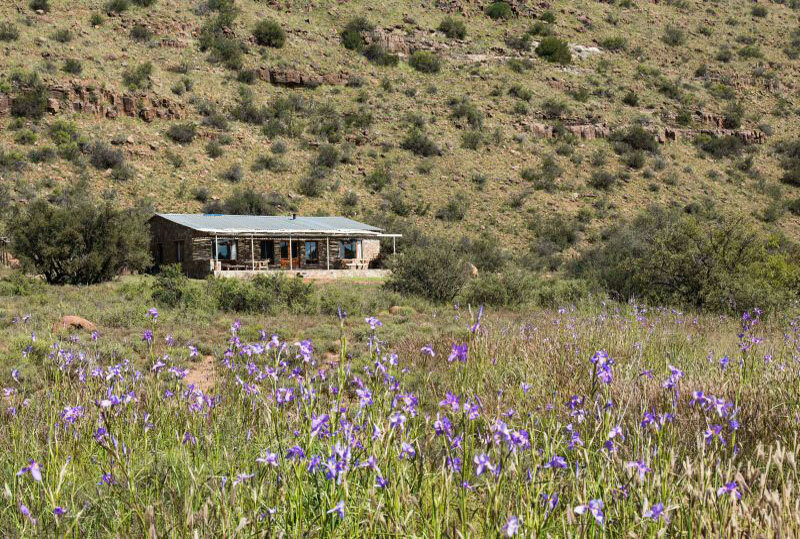 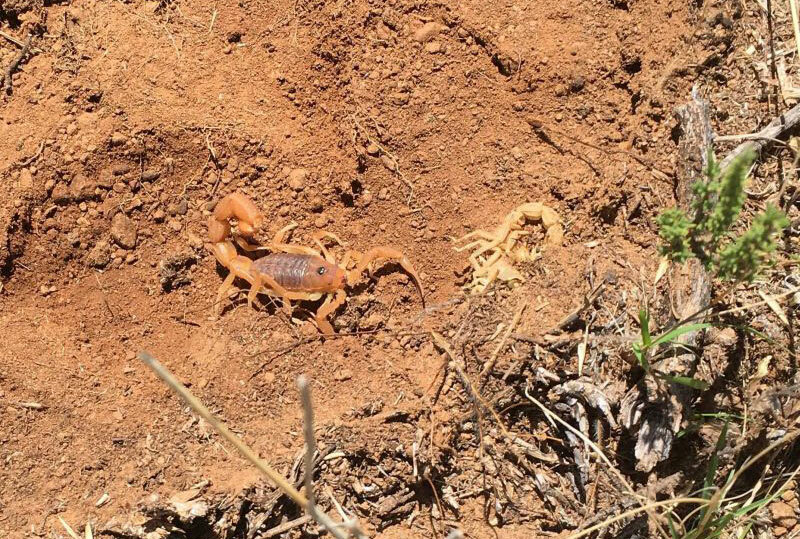 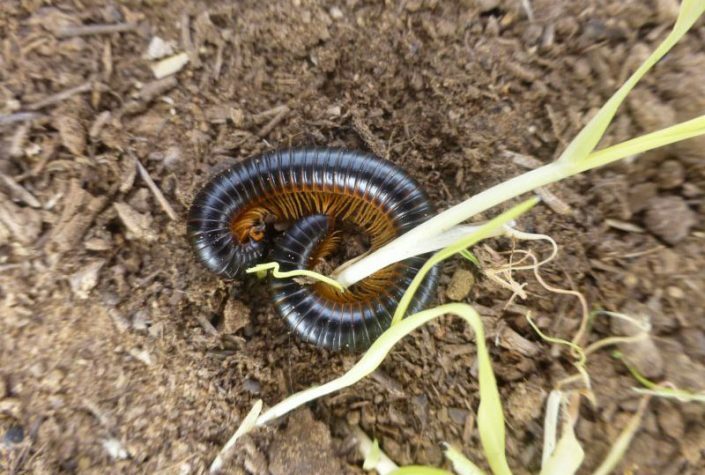 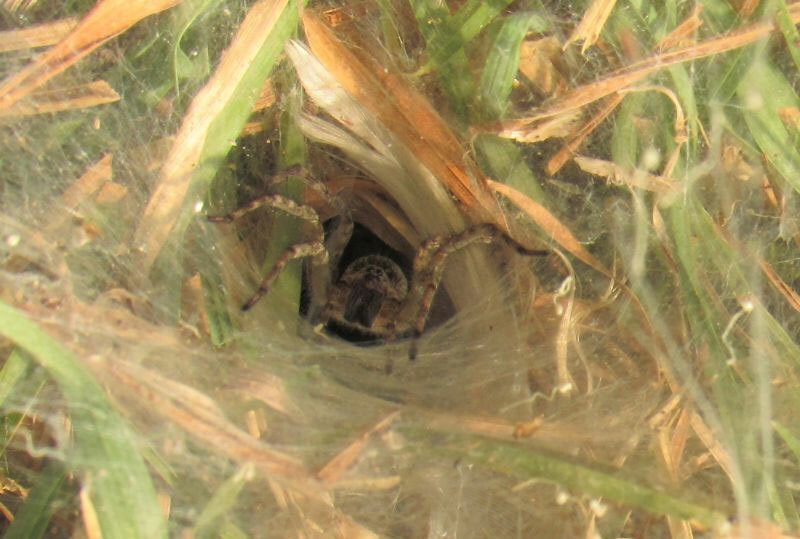 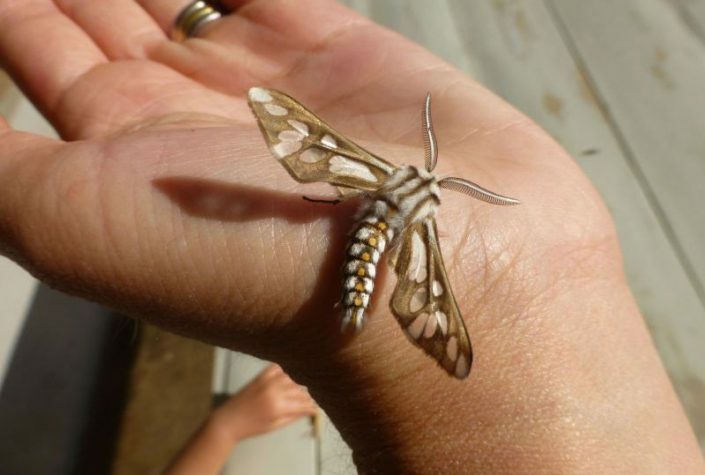 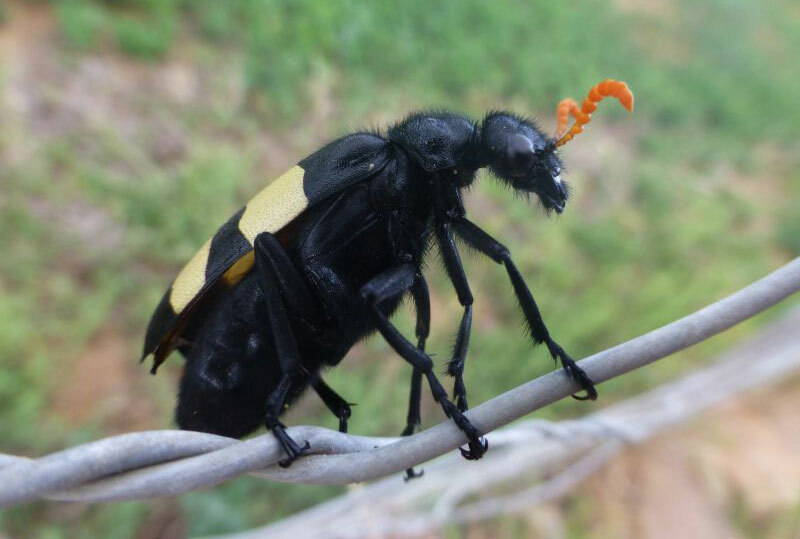 We are constantly on the lookout at Karoo Ridge Conservancy for invertebrates such as insects, spiders and scorpions which all reflect the increasing quality of the land around us.